What is Neogen Day-Light Protection Sunscreen SPF 50 PA+++? Provide ample UV defense with mineral and chemical sunscreen actives, and with antioxidants to shield you from UV and defend you from cell-damaging free radical attacks. Boost your skin antioxidant levels. Ultra hydrate your skin with moisture that lasts for hours. Soothe and calm irritated skin to bring about a brighter complexion. Neogen Dermalogy is a Korean brand with a strong R&D culture with a standing commitment to provide safer skin care products that even people with the most sensitive skin can use. What are the Ingredients in Neogen Day-Light Protection Sunscreen SPF 50 PA+++? 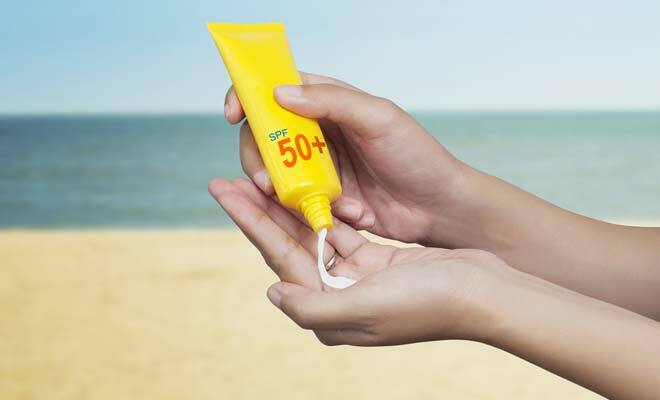 Titanium Dioxide (0.90%) and Zinc Oxide (2.80%): Mineral sunscreen actives. Sodium Hyaluronate: Helps restore your skin’s ideal moisture levels and aids in hydrating your skin over a prolonged period of time.However it cause skin infection such as redness or swelling. How To Apply Neogen Day-Light Protection Sunscreen SPF 50 PA+++ ? Neogen Dermalogy Day-Light Protection Sunscreen SPF 50 PA+++ 7 must be applied on your skin daily, at least 15 minutes before getting your skin exposed outdoors. This product is formulated as a sheer application that absorbs easily into skin, and does not leave a white streak which makes it a great sunscreen and moisturizing product to layer with your everyday makeup but it may cause redness or swelling on skin. 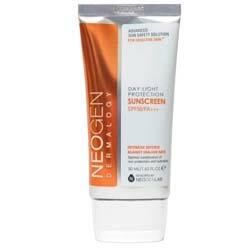 Neogen day-light protection sun screen reviews have been praising this product as a better sunscreen alternative. This product still contains the toxic chemical sunscreen active, Ethylhexyl Methoxycinnamate, also known as Octinoxate, which has been proven many times to cause endocrine disruption with a potential to become an environmental pollutant. The formula contains several potentially irritating ingredients, which includes eucalyptus, a host of other botanical ingredients, and butylene glycol. Product contains polyethylene glycols (PEGs) which is easily combines with 1,4 dioxane, a carcinogen, during product manufacturing. Neogen day-light protection sun screen review have pointed out that the formula feels thick on the skin, causing discomfort as it does not allow air to pass and cool your skin. Neogen Dermalogy Day-Light Protection Sunscreen SPF 50 PA+++, although already a better alternative to most other toxic laden chemical sunscreens, still includes the chemical sunscreen Octinoxate. What’s even more frustrating is the addition of irritating ingredients which makes this supposedly better sunscreen, not highly recommended for use by people with sensitive and problematic skin types.